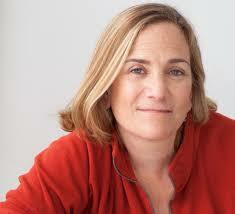 Tracy Chevalier is a writer I urgently recommend to my readers. Pick up any of her novels, and help raise her reputation to a well-deserved higher level. Her eighth and most recent work, At the Edge of the Orchard, brings me up to date on her works. Tracy has talent to take the reader to times and places with detail and depth of characterization I greatly admire. Her best known work, The Girl with the Pearl Earring was my introduction to her, and I was smitten from the first line. Orchard begins in the spring of 1838. James and his wife, Sadie Goodenough, have left Connecticut to strike out on their own into the western U.S. James loves, and is obsessed with, apples. His family grew wonderful fruit, and he got some seeds and saplings from an itinerant apple salesman, John Chapman, also known as the legendary, Johnny Appleseed. Unfortunately, James selected a swampy stretch of ground, and the work to clear and drain enough lend to plant trees proved daunting. Sadie wants him to plant something that will quickly produce a cash crop. Tracy writes, “What made the fight between sweet and sour different this time was not that James was tired; he was always tired. It wore a man down, carving out a life from the Black Swamp. It was not that Sadie was hung over; she was often hung over. The difference was that John Chapman had been with them the night before. Pf all the Goodenoughs, only Sadie stayed up and listened to him talk late into the night, occasionally throwing pine cones into the fire to make it flare. The spark in his eyes and belly and God knows where else had leapt over to her like a flame finding its true path from one curled wood shaving to another. She was always happier, sassier, and surer of herself after John Chapman visited” (3). This second paragraph of the novel provides an English Professor with a bounty of images and ideas of a story spun out from this innocuous beginning. The family grew quickly with the arrival of 10 children – not all of whom survived into adult hood. The youngest, and James’ favorite of Sadie and Robert, became the focal point of the family. Fed up with her addiction to Applejack, a strong alcoholic beverage, James and some of the children abandon Sadie and take the wagon home from a local gathering. Chevalier writes, “My family was gone. I could feel it. I was all alone. That made me stop in the middle of the road and jest stand there. A wagon was comin towards me and a man was shoutin at me to get out of the way, but I couldnt move. Tears was running down me on the inside and the outside. // Ma. // I turned around and there was Robert. Of all my family I was glad it was him that found me, cause I loved him best even when he made me feel the worst. Robert was the Goodenough with the most future in him, the one the swamp wouldn’t get. // He held out his hand and said, I come to fetch you. // I was still cryin and I let him take my hand and lead me away like I was a child” (65).